Imprint Area 3.5” W x 2.5” H Per side, 8.5” W x 2.5” H Wrap. 3.937”W x 5.2717”H (multi-color prints). Production Time FREE 24hr rush (for 1 color print only) available, otherwise 3 business days. 12 work days for Full Color. Add 2 business days if a virtual proof is required. Express shipping options available at check out. We received our cups today! They are soooo cute we love em. Thanks for awesome customer service!! They arrived today, in time for our event, and they are perfect!! Thank you so much! We will be ordering again in the future. 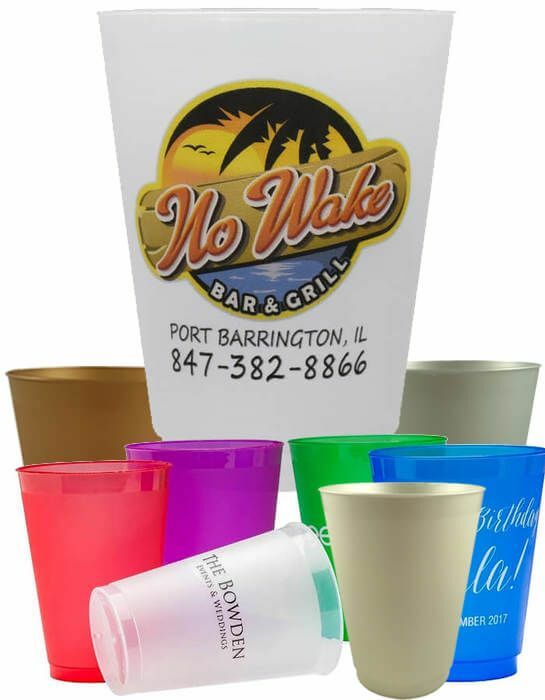 Great Frosted Plastic Cups & Great Customer Service! The cups arrived here on Friday, and they are perfect. Thank you for your attention to our order, and the good service.